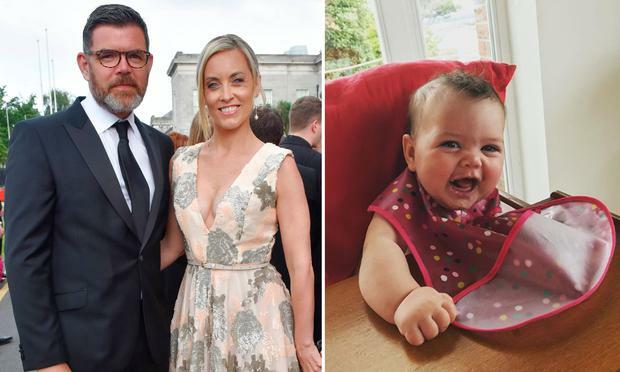 RTE star Kathryn Thomas said she has experienced the dreaded "mummy shamers" that most women in the public eye have become unfortunately accustomed to. New mothers Vogue Williams and Aoibhin Garrihy both hit out at critics of theirs during their pregnancies, mostly their decision to exercise, and the popular broadcaster is back in the public eye six months after giving birth to daughter Ellie, sharing her own experiences. "I experienced a lot of 'mummy shaming' during my pregnancy. I wanted to exercise and so I did and I posted my workout videos online. 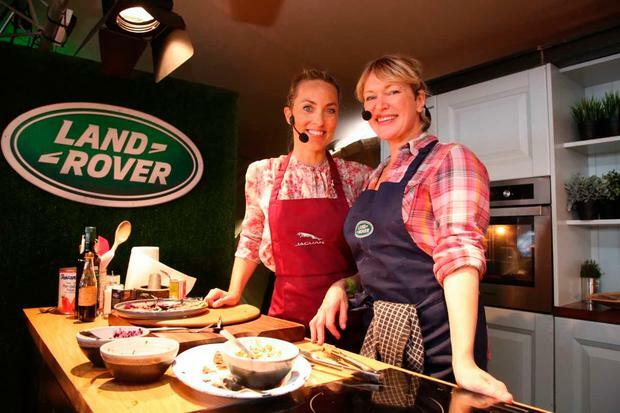 I got mostly positive responses but I got a few nasty ones with people asking me what was I doing, that I should be wrapped up in cotton wool and this wasn't about me, it was about protecting my baby," she told Independent.ie at the Ploughing Championships where she was working with Jaguar. "Once you get clearance from your doctor and you know what your body is capable of doing, that's all that matters." Kathryn also said she understands that there is public interest in her and her infant daughter, whom she loves sharing pictures of because of her pride at being a new mother. "I do share pictures of her on social media because I'm so proud of her. I want everyone to look at my baby because she's so cute," she said. "I was like that with my dogs but now my dogs have taken a back seat. I live in the public eye and I love the support I've gotten online. In Ireland, everybody knows everybody and they now just know her too." 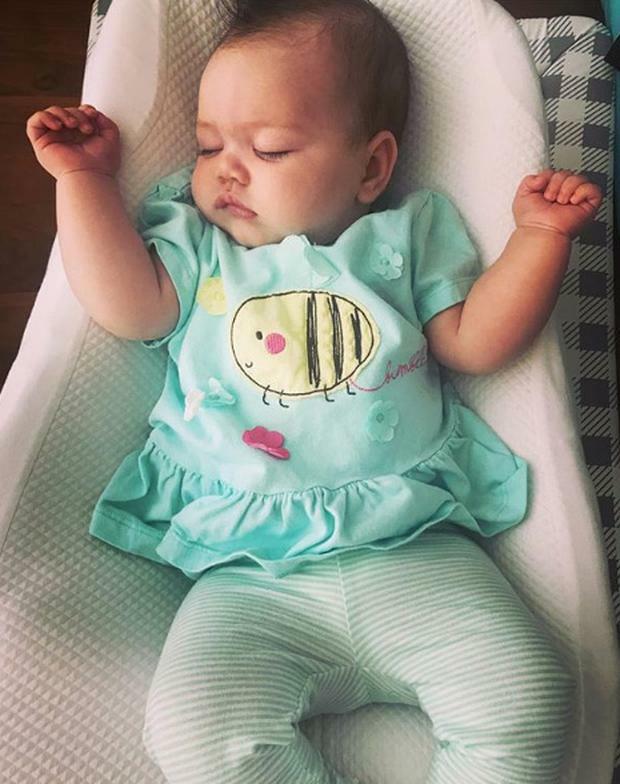 She added that while she is surviving on a lot less sleep, she ensures that baby Ellie fits into her lifestyle, which includes odd hours and a love of travel that has been ingrained in her since before her No Frontiers hosting days. "I remember what life was like before her because I was dancing to Beyonce on a Saturday night and I definitely don't do that anymore. I just go with it. I've brought her to work, to America, to the UK. She needs to fit into our lifestyle so I just take her with me. I don't have a nine to five job and I didn't take maternity leave so she's just the next exciting chapter of my life," Kathryn explained. Despite the "addictive lifestyle" of travelling the globe, she says the transition from travel to fitness was a "natural" one as she now runs the Pure Results Bootcamp, a seven day health and fitness retreat, in addition to her mutli-faceted presenting duties with Operation Transformation and Ireland's Fittest Family. "I think it was natural. I spent my entire twenties travelling the world while my friends were in college or getting jobs. It was an incredible time, an amazing time and I learned so much. They're very informative years in your twenties, you’re learning everything about the world, and I felt they really shaped the person I am today," she said. "I had no routine, I was gone for six months of the year, just put a bag on my back and my dad was like ‘where are you going now?’ and I’d say ‘I have no idea but it’s fine’. I’d disappear off to Australia for three weeks or Africa, no mobile phones, no nothing, it was just you’re gone. That became addictive, it’s quite an addictive lifestyle when you’ve no routine."